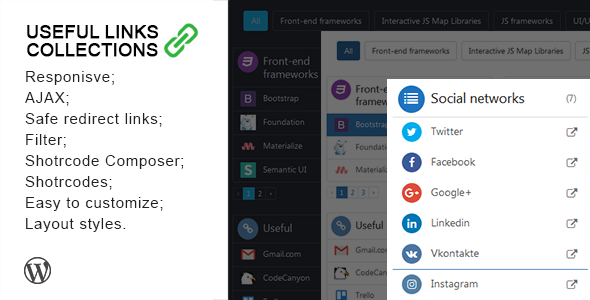 Useful Links is a Premium Responsive Links Directory WordPress Plugin, which allows you to create useful links collection or favorite bookmarks and share links list with visitors on your site. Easy to add new link and display multiple shortcodes per page. Modern styles for link directories. Custom filter to sort lists by categories.